The Urban Outfitters Surplus Store. Finally one day I stopped in, and it was a day that changed me forever! 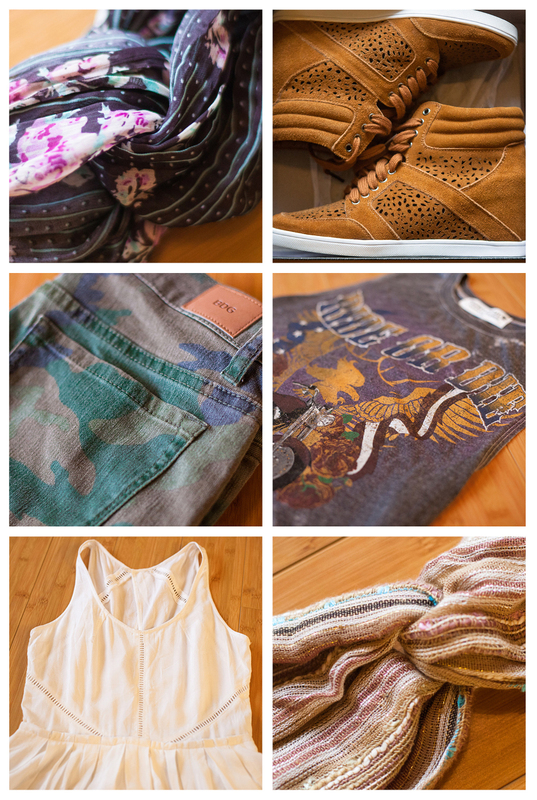 As a surplus store, you are scoring brand new Urban Outfitters clothing at absolutely ridiculous prices. We’re talking thrift store prices, sometimes better. Yes, it’s true, this is the place where they sometimes send the ill-fitting crap that no one wants in the real stores, but I would say 40% of this store is wearable. And by that, I mean wearable to me within my realm of style and fit. That’s pretty good for an outlet in my opinion, and honestly, it’s for the better that the percentage of personal appeal is on the lower half, or else I’d probably buy the whole damn store. 1) Do like a thrifting pro, and scour every rack. It tends to be a little messy and out of place, especially near closing time, and it’s worth your while to make sure you’ve seen everything. 2) Get Weird. I always talk about stepping out of your comfort zone of “predicatable” style and adding some edge to your wardrobe with truly unique pieces for next to nothing. This is your time to take risks and branch out, if any! 3) Always ask for a price check. That top is wacky but awesome, right? And totally not what you’d normally pick out. And even though it’s 50% off, it’s still not really worth $29.99 for a spot in your closet….well, good news! I would say more than 60% of the items I’ve purchased have rang up much lower than the red sticker, making it hard to pass up the things you don’t want to try at full price. A lot of these items are cleared out after a regular sale sweep in main store locations, and sometimes the tags are left over from those sales. That means when they’ve hit surplus, they’ve got a red sticker already and get passed over for another markdown sticker even though the price has dropped. I found a $110 Dolce Vita dress, marked $59.99, which is extremely high for this store, and I asked for a price check just to see. The guy on the sales floor told me $10. Hell yes I’d take it for that! Well guess what. When I got up to the counter, it rang up as $5. Now, do you really want to miss out on 95% off just because you didn’t ask?? I didn’t think so. Pictured below, some trendy and awesome pieces I’ve scored here have included wedge sneakers for $6.99 (seen here), multiple chiffon and printed headwraps for $2-3 (seen here), camo printed skinny jeans for $9.99 (seen here), as well as a floral blousson top for $4, high-waisted acid wash cutoffs for $9.99, motorcycle tanks for $5, and the aforementioned white Dolce Vita dress for a staggeringly low $5. The store itself is much more female than male, with womens clothing taking up over half the store. It’s a cutoffs-wonderland with a whole rack of brightly-colored frayed goodness for $3 a pop, contains ample dressing rooms with no try-on limits, a ping pong table in the center for bored boyfriends (brilliant), and even a photo booth. Above are some photos of the LA store in Sherman Oaks, as well as some of the super-scores I’ve snagged. If I haven’t sold you on checking this place out, you need help.